JOSH Crawford spotted the tornado that trashed Lennox Head as it bobbed along the waves off the town’s headland. Josh, 16, said he saw what began as a waterspout running along the breakers, following the reef as it drifted north. Then, when it got parallel with the Lennox pub, it veered left, tracking north-west into the village. The first building hit by the tornado was the Lennox Point Holiday Apartments – but it wasn’t the worst hit. From there it became hard for Josh, watching from Allens Parade, to tell precisely where the base of the tornado was – but it appears to have tracked roughly north-west, wreaking terrible havoc in Stewart Street and Gibbon Street, before demolishing a big chunk of the Lake Ainsworth Caravan Park. Josh said the tornado appeared to lose strength and, as suddenly as it appeared, it was gone. 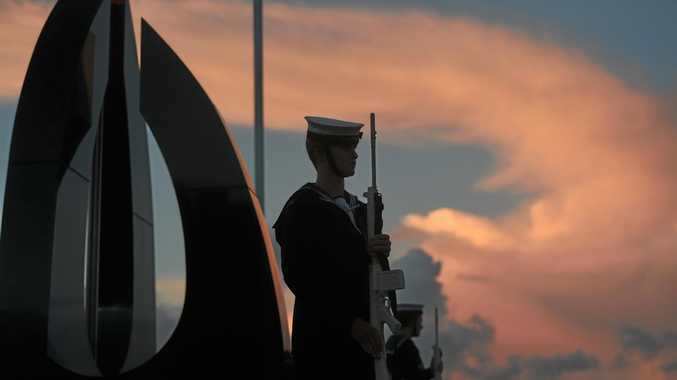 Whats On DETAILS on all the dawn services, marches and other events being held to honour our servicemen and women.